Promoter Eddie Hearn has slammed Tyson Fury’s choice of opponent after it was revealed the undefeated Briton will likely face Tom Schwarz in his first fight since his draw with WBC heavyweight champion Deontay Wilder in December. 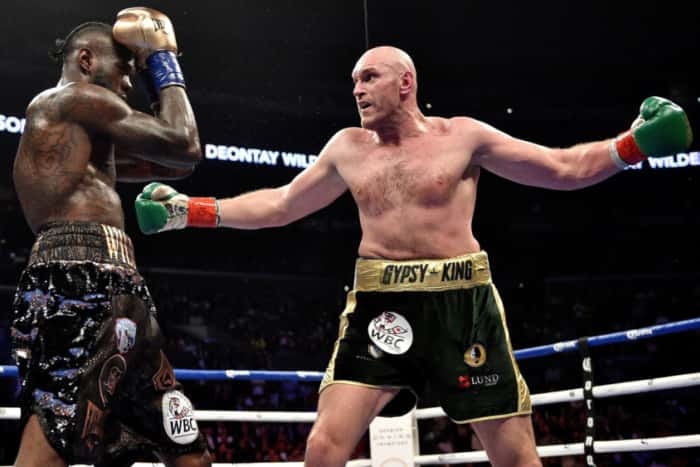 Fury, who recently signed a five-bout, £80 million deal with US broadcaster ESPN, is expected to face the undefeated German in Las Vegas on June 15 after deciding to forgo the WBC mandated rematch with Wilder. Hearn, who promotes Fury rival and unified heavyweight champion Anthony Joshua, delivered a scathing assessment of the match-up. “It’s a terrible fight when you go from rematching Deontay Wilder to then fighting Tom Schwartz,” Hearn told Boxing Social. Hearn went on to rubbish claims Fury would be installed as the mandatory challenger to WBA, IBF and WBO champion Joshua if he is successful against Schwarz. “[Oleksandr] Usyk would be mandatory for Joshua,” Hearn continued. “When you’re a super champion at the weight below and you move up in weight you become automatic mandatory. Usyk cut his teeth in the first series of the World Boxing Super Series (WBSS), unifying the WBC, WBA, IBF and WBO titles at cruiserweight. The 32-year-old is expected to face Carlos Takam in his heavyweight debut later this year. Joshua is due to defend his three heavyweight titles against Jarrell ‘Big Baby’ Miller at New York’s Madison Square Garden on June 1.